Designed specifically for lead-free through-hole rework .THE SD15F designed for professional soldering and de-soldering for THT components. The system features designed basic on selective soldering; the SD15F actually is a mini-wave selective soldering station. SD15F presents advanced technology in de-soldering, significantly reduces copper dissolution and the risk of board delamination. 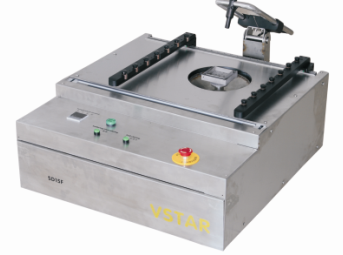 VSTAR continues to be committed to offering the highest quality products designed with the capability and flexibility required to meet changing customer and industry requirements. Selective soldering makes your THT process more efficient. It is a versatile Rework, Repair and De-soldering system suitable for all types of populated (single sided, PTH, Multilayer & Hybrid) PCB assemblies and components. The SD15F equipment designed for professional soldering and de-soldering for THT components. The system features designed basic on selective soldering technology. It’s actually a mini-wave selective soldering station. We would like to provide customized for you to find the best process solutions for your problem. FOR more detail information ,please contact us.